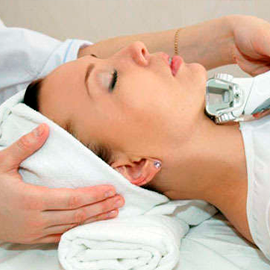 DOT TherapyTM technology is… the latest innovation in the field of skin rejuvenation! 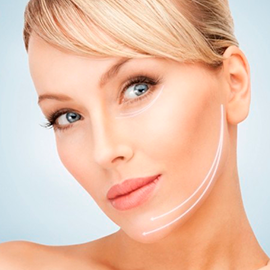 SmartXide DOT – a real alternative to the surgical facelift! 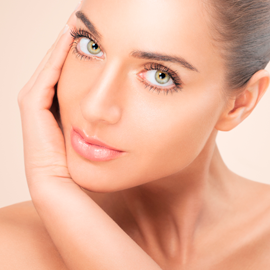 DOT technology is performed with SmartXide DOT CO2 laser system, featuring the unique DOT Scanner with the Infinite Delivery options for ablative skin rejuvenation with rapid healing. DOT technology is ideal for solving such skin problems as pigmentation, atonic skin texture, wrinkles and acne scars. This is a possibility of choice This is a possibility of control. This is DOT! Laser type: Fractional laser CO2 with system of fractional photothermolysis Hi-Scan DOT. Position in SmartLaserLine: Above SmartXide. Correction of age-related skin changes for patients who exclude the possibility of plastic surgery. Fractional rejuvenation of face, neck, decollete area and hands skin. Facial, neck, decollete area skin lift. 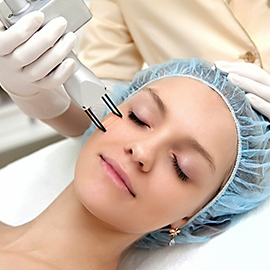 Laser skin rejuvenation (improvement of skin condition). Correction of skin stretch marks. The SmartXide DOT system – multifunctional complex based on a CO2 laser with a wavelength of 10600 nm. Visual effect of skin (face, neck, decollete area) lift. DOT (Dermal Optical Thermolysis) Therapy is: the latest innovation in the field of skin rejuvenation! 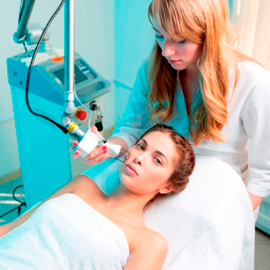 DOT technology is performed with SmartXide DOT CO2 laser system, featuring the unique DOT Scanner with the Infinite Delivery options for ablative skin rejuvenation with rapid healing. reduction of skin area. Thanks to DEKA, one of the largest and most famous laser manufacturers, DOT Therapy technology (Dermal Optical Thermolysis) has now become a modern procedure in the field of laser skin rejuvenation. The DOT system is an advanced CO2 laser (carbon dioxide) manufactured by DEKA and obtained all the necessary permits. 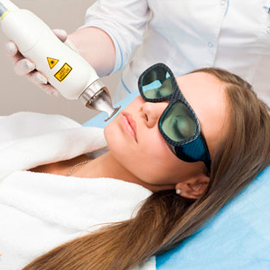 The CO2 laser is the most common type of lasers, thoroughly examined and tested, used for skin rejuvenation. Previous CO2 lasers worked on the entire surface of the skin resulting in a significant healing time, patient’s discomfort and prolonged reddening of the skin. In addition, previous CO2 lasers could not be used for procedures on skin areas other than the face, such as the neck and decollete area, since the skin in these areas did not heal as well as on the face. DOT Therapy technology is the new gold standard in the field of facial laser rejuvenation (laser resurfacing). “Fractional” ablative rejuvenation is in close interaction with the “traditional”, where fractional ablative rejuvenation, due to its “point” radiation (“dot”), generates micro thermal damage zones (MTZ) alternating with untreated tissue. Thus, healing occurs much faster (only 1-2 days), which allows immediately return to the usual way of life. During the procedure of fractional CO2 of the DEKA company micro columns of epidermis with depth up to 1.6 mm are removed. In average, about 6 g of tissue is evaporated during one procedure, where more than 85% of the derma. The precisely predicted amount of damaged tissue (coverage percentage) enables maximum efficacy combined with high safety, and the minimum diameter of ablation microzones allows to make rehabilitation period very short. In the DEKA laser the patented Smart Dot technology “formation of impact micro-zones in motion” is used. This laser allows to perform the procedure 4 times faster and distribute microzones over the skin surface more evenly than any other fractional ablative laser. 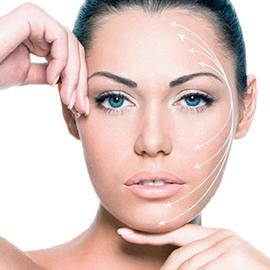 The procedure can be performed on any part of the body and with any phototype. After just one treatment, 90% of patients with sever photoaging and flabby skin showed a significant decrease of involutional skin changes and increase in its elasticity. None of 500 patients had hypopigmentation within 24 months after the procedure. In comparison with traditional laser CO2-resurfacing a significant reduction of the rehabilitation period was observed even after the treatment of delicate areas. Epidermal re-epithelization after the pocedure of CO2 DEKA takes only 48 hours. Patients, as a rule, do not need special medical care and in 3-5 days after treatment can lead their habitual way of life. The idea of laser CO2 technology is in absorbing the energy of laser radiation by the surface layer of the skin, the thickness of which is measured by microns, heating it in an ultra-short period of time followed by vaporization. But the main tissue and surrounding areas do not heat up. Thanks to its “Standard” and “DOT” scanning systems, the Smart Xide laser meets all the requirements of traditional and fractional skin rejuvenation, combining the advantages of both methods in one instrument and offering the choice of different forms, sizes and methods of scanning on tissue (translational or random (randomized )). An indispensable tool for “minor” interference and skin rejuvenation, as well as for fractional and traditional ablative skin rejuvenation: instant improvement in tissue tone, minimal amount of downtime and time of procedures performance, high level of procedure tolerance. Smart Xide is excellent for laser facial and scars peeling. These are achievable targets thanks to an extremely efficient impulse laser. The technology, together with the DOT scanning system, ensures an even distribution of laser radiation in the tissue, thus creating the basis for a new highest level of procedure. Thus, it became easier to carry out procedures to eliminate problems associated with photoaging and skin imperfections at a higher level, with a guarantee of success, while activating a homogeneous and normalized recovery of the epithelium without photodamage and dyschromia.